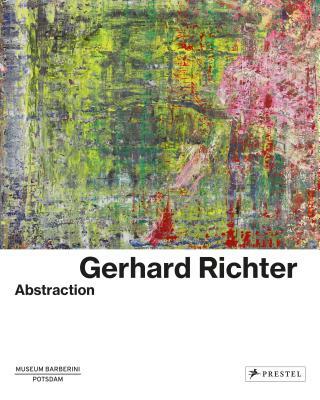 Located somewhere between Pop Art and Realism, Gerhard Richter's abstract works are the subject of this unique book that brings together 80 works from collections worldwide. Trained in the 1950s as a realistic painter, by the mid-1970s Gerhard Richter began to evolve into a more abstract artist. His large, colorful paintings from that time exposed the process of painting as much as its creative aims. Focusing solely on Richter's abstract work, this book features 80 works on canvas that represent the full range of the artist's experiments away from representational painting. It includes his early works, which called painting itself into question and incorporated personal documents and newspaper images. Also examined here are Richter's series of gray paintings from the 1970s--a reaffirmation of artistic purity; his "Inpainting" series, which made the application of paint and brushstrokes themselves the subject; his color chart paintings, which both neutralize and glorify painting's most emotionally charged element: color. Also included are his later works in which he applied paint with a brush, scraper, and palette knife. Taken as a whole, these brilliant works reveal an artist consistently in dialogue with his work, and with the overarching artistic trends of the time. MICHAEL PHILIPP is Chief Curator of the Museum Barberini in Potsdam, Germany.